Raising a family in a city, let alone a city where shoebox apartments are the norm, is not easy. 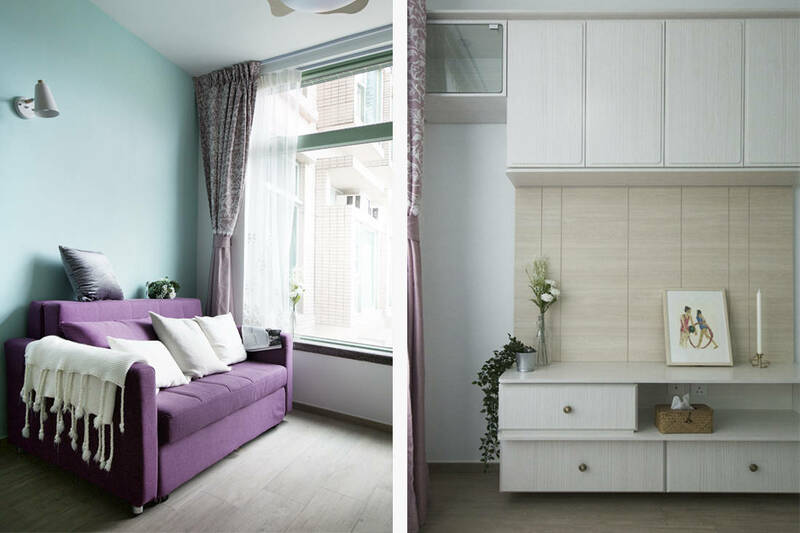 Space challenges are definitely one of the biggest hindrances for young couple Simon and Labyrinth, and their daughter who reside in this tiny Hong Kong apartment. Even then, these young parents were undeterred to let a limited square footage and their family life dash their design aspirations of having a beautiful modern classic home. “In addition to having family-friendly design features, they hope to retain the romantic spark they had before marriage,” says the design team from Sim-Plex Design Studio. That culminated in a clean-lined living space with elegant embellishments – a nod to the romantic ambience that the couple is fond of and could enjoy in the confines of their shoebox apartment. A modern backdrop of light woodgrain tones and cabinetry in pristine white draws out a visual expanse of space and light. 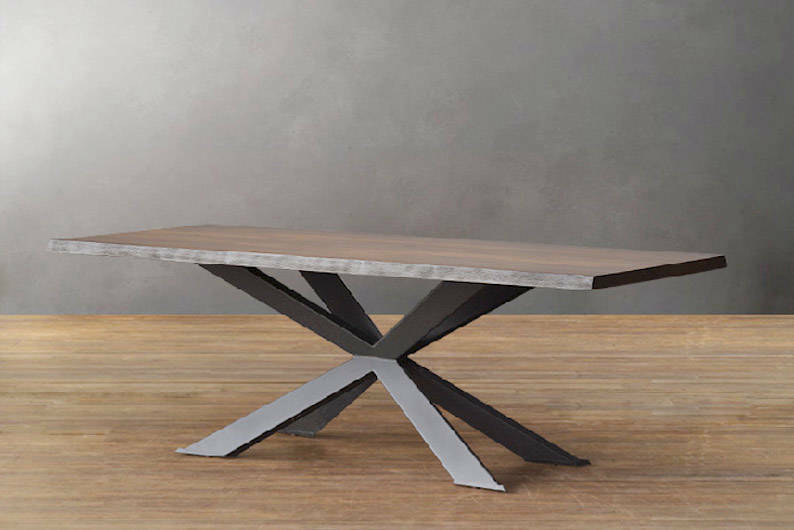 Curved forms, such as the arched detail of the dining area’s cabinet, juxtapose the modern accents to good effect. Most of all, this contrast bestows just the right degree of visual interest to the communal zones. 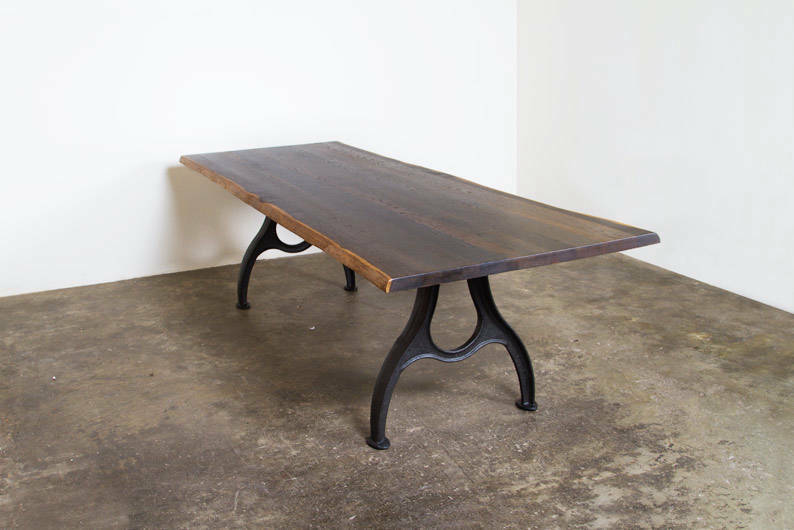 Suffice to say, the designers definitely found middle ground between modernity and classic elegance, and without overwhelming the visual appearance of the living space. A row of cabinetry lines the walls of the living and dining zones and maximises the amount of storage space in this shoebox apartment. 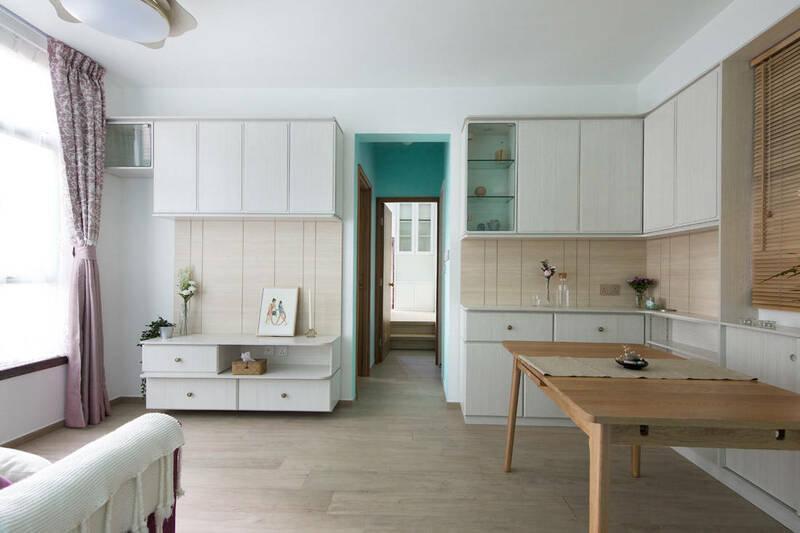 The team explains: “The spatial needs of Hong Kong families are often dictated by children, where a large amount of storage is necessary.” The designers managed to reduce the visual bulk of the built-in storage with open niches and by scaling down the dimensions for a sleeker look. This cabinetry setup provides more than just ample storage. It also conceals unnecessary visual clutter, such as the unsightly window frame with wooden blinds and the air-conditioning unit. Rounded corners for the cabinetry not only factor in elegance. It is a child-friendly feature to prevent accidental bumps and scratches. The designers also created a low-lying book nook within the TV console so that the couple’s young daughter can access her favourite books easily. 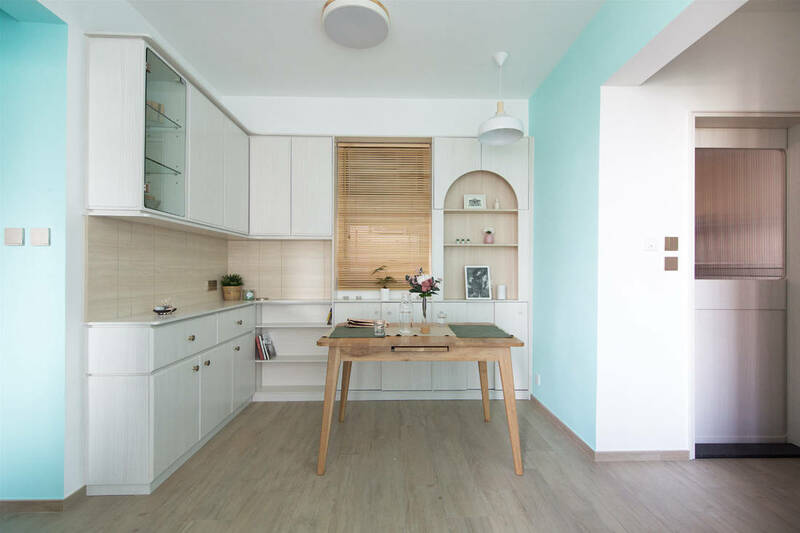 The use of eco-friendly melamine-faced panels for the cabinetry finish also promotes a healthy family home – one with a greatly reduced level of formaldehyde. Charming pops of Tiffany blue-coloured wall paint punctuate different areas of the apartment and weave a classic style amidst the contemporary backdrop of white cabinetry. 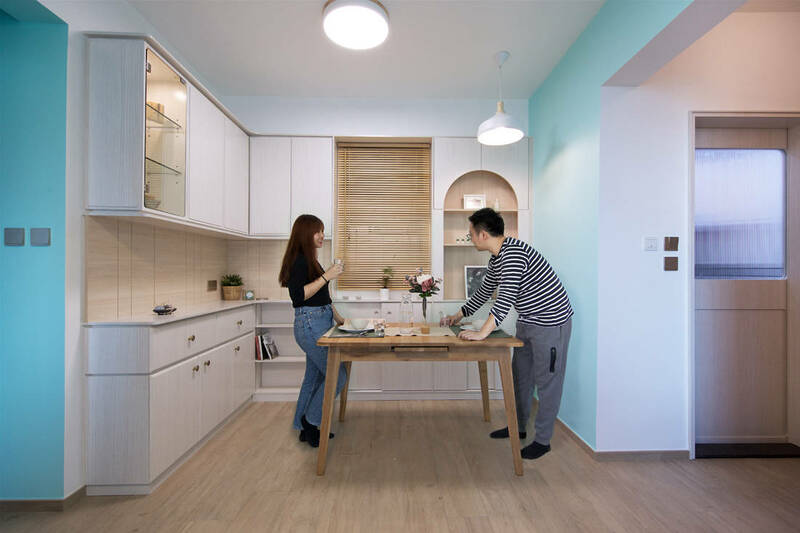 “This Tiffany blue tone works as a focal point and it visually connects the shared living and dining zones,” the design team says. 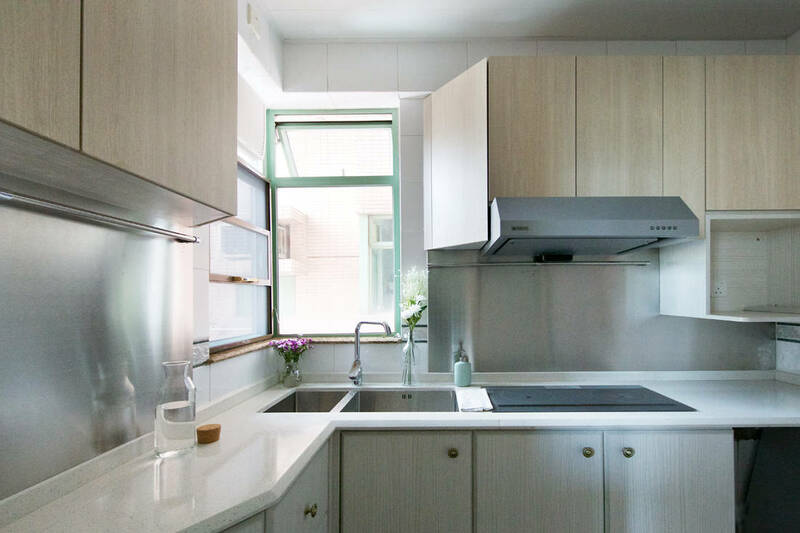 Like most kitchens in Hong Kong, the cookspace is small but efficient. Counters of sleek and irregular dimensions create the impression of a larger kitchen. The designers also factored in design uniformity through a similar colour palette and classic design embellishments of the antiquated gold door knobs for the cabinets and quartz stone worktops. 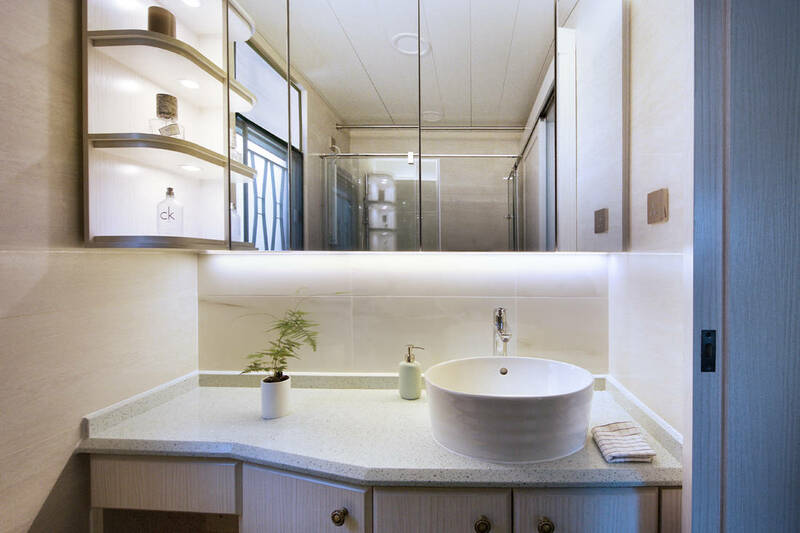 The same design outlook of quartz stone, light woodgrain cabinetry and asymmetrical vanity counter is also evident in the bathroom. Rather than conforming to a standard size or style, this setup appears larger and more free-flowing despite the bathroom’s tiny floor area. Even when two becomes three, having a child in the picture has not thrown a wrench in Simon and Labyrinth’s design plans. “We hope to demonstrate through this shoebox apartment that design practicality and modern classic aesthetics can co-exist effortlessly,” says the Sim-Plex design team. “With that, the younger generation will be more adaptable to the new changes, such as welcoming new family members in their lifestyles,” the design team concludes. 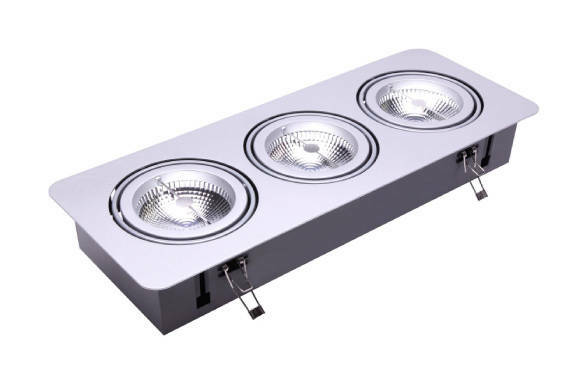 Switching to LED lighting can bring significant savings to your household bills â€“ and is one of the greenest lighting choice out there. 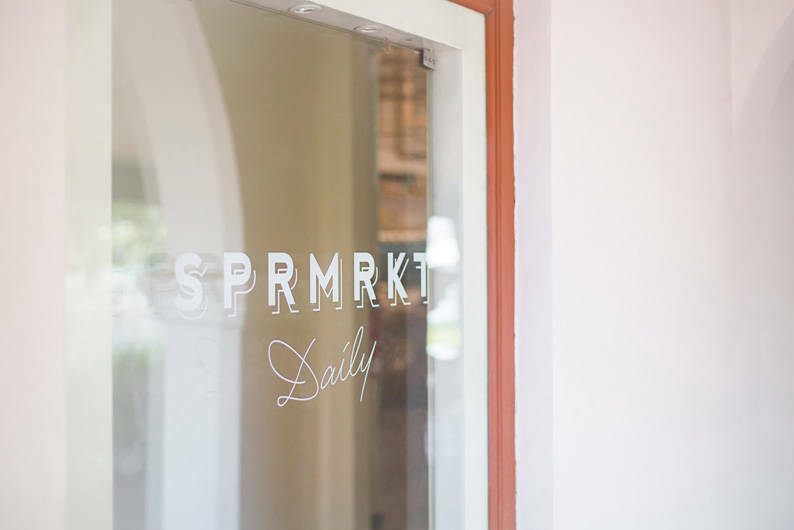 SPRMRKT Daily and SPRMRKT Kitchen & Bar is housed in stylish interiors within the Singapore Tyler Print Institute.